For a free consultation about your case with a skilled New Jersey criminal defense lawyer, contact us anytime at 609-832-3202 or reach out online. The specific court where your case will be decided is determined by a number of factors in New Jersey. If you are charged with a disorderly persons offense or petty disorderly persons offense, which is similar to a misdemeanor, your case will be heard in the Municipal Court in the municipality where the charges were issued. Examples of these criminal offenses include simple assault, disorderly conduct, possession of marijuana, and petty theft. Additionally, if you are issued a traffic citation or arrested for DWI, you will be required to appear in the Municipal Court in the town where the alleged offense occurred. 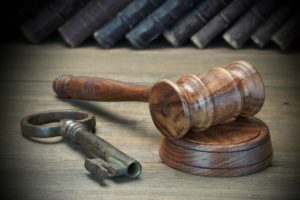 On the other hand, if you have been charged with an indictable crime, also known as a felony, your case will be transferred to the Superior Court, Criminal Division in the county where the charges were filed. An indictable charge can be a first degree, second degree, third degree, or fourth degree crime. Examples of felony charges in New Jersey include aggravated assault, robbery, burglary, and unlawful possession of a weapon. Lastly, the Superior Court, Family Division is responsible for handling domestic violence matters such as restraining order hearings and juvenile criminal charges. Restraining Order cases are typically decided in the county where the restraining order was filed. Juvenile criminal matters are generally sent to the Superior Court in the county where the minor currently lives.